Just a note on the mess the Wash Legislature left last week. More later. ... Case in point: We haven’t heard a whole lot about the gimmicks included in this year’s budget deal—the raiding of dedicated accounts, the K-12 one day apportionment delay—not to mention billions of dollars in unfunded state liabilities left untouched by lawmakers. And then there was the utter lack of transparency toward the end of session as lawmakers chose to avoid public hearings on important bills in order to speed up the process and meet the ever approaching midnight deadline. Lawmakers may have adjourned without a day specified for a future meeting, but they also adjourned without a plan to tackle many of Washington state’s most serious problems—pension debt, post-employment benefits debt, workers’ compensation debt and so on. One of my favorite places in the world is National Memorial Cemetary of the Pacific in the center of Honolulu, Hawaii. 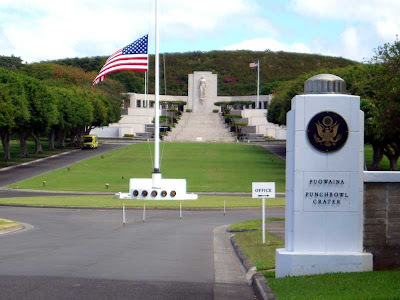 A Hawaii couple have an excellent page on World War II memorials in Hawaii, all of which are on Oahu. 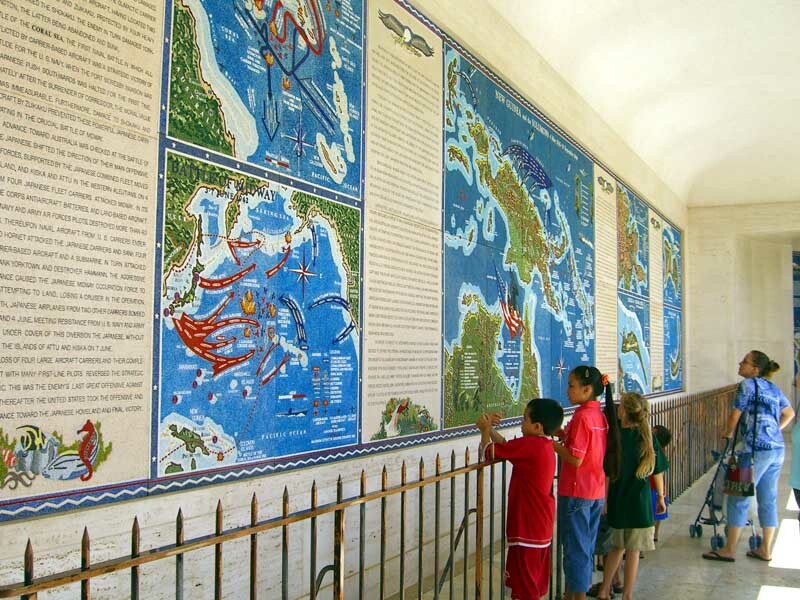 The World Tourist Scroll down a screen to see National Memorial Cemetary of the Pacific. It is known as The Punchbowl for its unique shape: it is a volcano crater of just the right size. The photos: The central structure of the cemetary: on the sides are the names of men and a few women who died in the Pacific whose remains were never found. 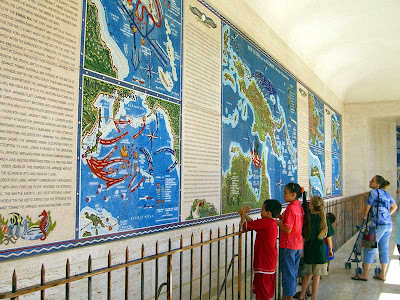 All the rear (top) are a series of panels that tell the story of the Pacific War with maps done as beautiful mosaics - second photo.  To date, few crimes have been solved with the aid of footage from KCLS security cameras either because cameras are not focused on the location of the crime or images are often not clear enough to provide helpful information.  Cameras are not proven to be a significant deterrent of crime—in our case, of either materials loss or criminal activity. Several studies show that the presence of cameras has little effect on the incidence of impulsive and/or violent crimes and conduct. Logic test: if the first statement is true can the second also be true? No! The first disproves the first line of the second. Though he is probably working up a rigorous definition of "significant" that reduces any crime solved to a lower level. And even if the cameras don't discourage impulsive/violent crimes and conduct, as "several studies" show, the cameras can still show where there are problems and on occasion solve crimes.  The use of security cameras in libraries across Washington State is not widespread and our local counterparts, in settings similar to KCLS, have not equipped their libraries with exterior cameras and have minimal use of interior cameras.  KCLS cameras were only installed at ten of 46 libraries.  KCLS cameras were unmonitored. The presence of cameras can convey a false senseof security given the reasonable expectation that video is being monitored at all times and help is on the way if someone is victimized. Those unmonitored cameras solved a crime at Woodmont Library. The Des Moines police requested the tape. Due to Mr. Ptacek police couldn't see the tape for a week. On viewing it they knew in 15 minutes who they were looking for. But the Library management don't want the cameras, even if effective. Also a law allows them to not disclose the identity of library patrons for public records request and criminal investigations - RCW 42.56.310. Is a mugger in the parking lot a library patron? He is not protected by that law. Why protect him? The leftists who always promote tolerance cannot tolerate the success of Fox News Channel. MediaMatters wants to cut Fox off at the knees by getting its largest sponsors to drop Fox. Their campaign is DropFox.com. It is a large, intense effort. In Orbitz, though, DropFox may have already bitten off more than it can chew. The company is not only refusing to buckle under the pressure -- which includes an online petition signed by 40,000 people asking it to ditch Fox News -- but it is striking back at Media Matters, warning the organization it is risking its credibility by attacking Orbitz. "This is a political organization that has been funded pretty extensively to go after one network, and we aren't going to engage in that fight," Orbitz spokesman Brian Hoyt said. "We have a strict policy of tolerance and non-discrimination, and that means we don't favor one political side over another. Tolerance is a two-way street," he said. "We're going to advertise on conservative TV stations, liberal TV stations and -- if there are any out there -- unbiased news broadcasts." VP Biden promised he would make sure not one dollar of their $787 billion (actual cost about $837 B) would be wasted. Is he asleep or ...? Thousands of recipients received our tax dollars while they owed taxes to the US. Two nonprofits that owed $3 M received over $1 million. What is VP Biden doing about this? No sign of action. Use the Internet to match drivers and riders. A new service is going online in the Seattle area. Recumbent trick sculpture for Christy Lynn memorial by John Harar on display in the SoHo district of New York City. Senator Maria Cantwell, Harry Reid, Chuck* Schumer and their 50 Demo colleagues (counting Sanders and Lieberman) did not produce a budget last year for FY 2011. What is their job if not to produce the budget? Now they are past the deadline for the first step in the budget process for FY 2012, which is to set the broad parameters of the budget breakdown, so the committees can each take their part of the budget allocation. Then, until the end of the summer they do the budget allocation for the committee's area. After that is complete in September they bring the committee pieces together for the overall budget, which they have to pass before September 30. Last year they produced nothing. They did nothing! "There's no need to have a Democratic budget in my opinion," Reid said in an interview Thursday. "It would be foolish for us to do a budget at this stage." Foolish, Harry? It's the job you promised to do. Poor Harry is afraid. It takes some guts to face the bad situation we are in and work to fix it. It's much easier to sit back and take shots at the adults who step up. Senator Maria Cantwell will explain to us why she is taking another year off. Two years. Why not replace her with someone who will take their oath seriously and do his/her job? Link: Hot Air on Senator Conrad's "Responsibility Deferment Committee." Cliff Mass has been active educating the public about the science of weather. But one major local audience will now be denied his enhanced weather reports. KUOW radio canceled him effective today. Mass has been on KUOW on Fridays for 15 years. But they canceled him this week. He is an excellent fit because his "enhanced" weather reports include science. Why fired? Mathematics. Ohhh, caught off topic talking about education on a university radio station!! Mathematics: Mass has been concerned about the inability of many University of Washington freshmen to survive in college-level mathematics; he is a US professor. He has been active in getting the K-12 schools to better prepare their graduates. And he has made references to his concerns about math on his weather segment. He tells at his blog about warnings and discussions with Weekday producer Katy Sewall and host Steve Sher about his spending time on mathematics education. And their concerns included not presenting the other side - the case for unprepared university freshmen? But then... The Seattle Times ran a story about near-straight-A students not being accepted by the UW. Indeed, accepting out of state students while rejecting one of Sealth High's valedictorians. (There used to be just one valedictorian, but now there can be dozens.) And Cliff Mass knew something about the Washington students with high grades who were less ready for college than out of state students. And he talked about this on his segment and presented Joni Balter of the Times for another viewpoint. That was the final straw. Talking about excellence in mathematics education. Off topic: Rick Steves, the Europe travel guy, plugs his favorite topic constantly: legalizing marijuana. Off topic, of course. As a responsible member of the KUOW team does he present the other side? No. When was he fired? You don't understand: what Steves is doing is OK for tax-supported KUOW. I admit interest. I bought Cliff Mass's book The Weather of the Pacific Northwest to read during a surgery recovery and learned so much that I started reading it again! 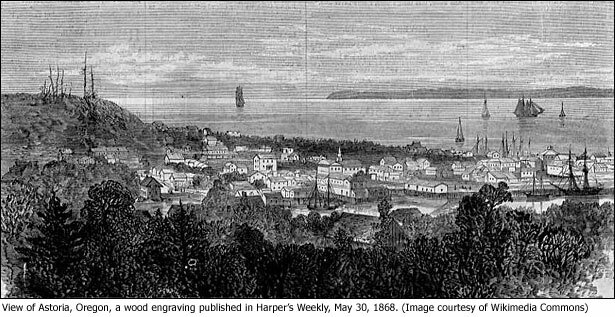 Astoria, Oregon, is celebrating its 200th anniversary. That is a very long time for the West Coast; it was founded by fur traders of John Jacob Astor's Northwest Company. We just got back from two days in Astoria; did the same thing last spring. We like it. It is a working port city. But not the normal kind of port where they are loading and unloading ships all day and night. While Astoria has some of that activity, it is more the enroute traffic on the Columbia River. Ships pass by. And, even though the river is almost 4 miles wide, the dredged channel is near the shore of downtown Astoria. So dinner in a waterfront restaurant comes with entertainment. Empty ships sit at anchor, waiting for the time their grain cargo is ready upstream in Kalama, Washington, Cathlamet and Portland, Oregon. It's grain that comes down the Columbia from Eastern Washington and Oregon and points farther east on barges. And the pilots go to board ships and return. There are two sets of pilots: one for the Columbia River upstream and another for the Columbia River bar - which is far more challenging; it is known as "the Graveyard of the Pacific." When a huge ship is traveling at 15 knots (about 16.5 mph) they don't want to stop. So the boat that shuttles the pilots comes alongside as the ship continues steaming and the pilot grabs a rope to swing to the ship and get on its ladder. And these very experienced pilots are in the gray-hair set, not young men. More at KATU TV Portland. 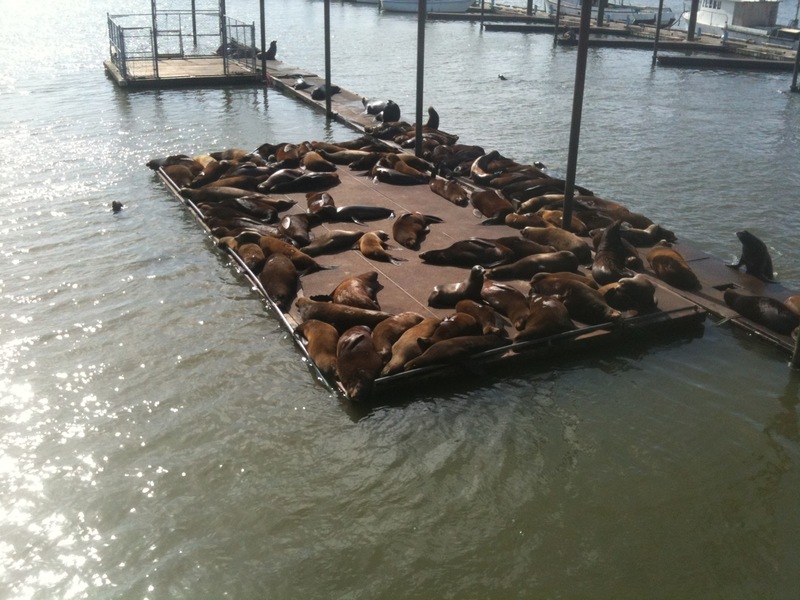 The photos: California sea lions take over floats at West Mooring Basin, east of downtown - my photo. 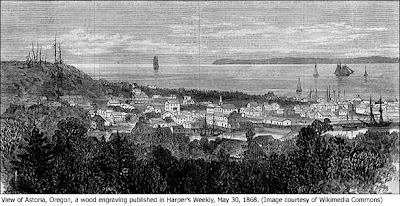 Second: Astoria in 1868 Harpers Weekly magazine from Wikimedia Commons. It's just what Obama/Biden planned. They gave jobs to government union workers and took them away from the private sector. Gained 450,000 in gov't and lost 1,000,000 private. 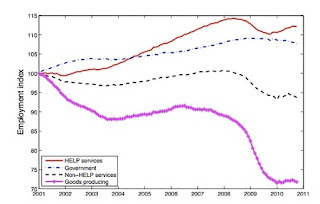 Net: lost 550,000 jobs. Cost $830 billion. I was looking forward to Newt Gingrich being a candidate for president. Not now. His candidacy: Not that I think he can win; his negatives overwhelm him. But he is a creative solution thinker and he is excellent at communicating our conservative ideas - one of the best at communicating them. But after announcing his candidacy last week, on Sunday he announced that he is seeking to be "The Conservative most liked by main-stream media." He took cheap shots at our Republican budget's proposal to restructure Medicare. That is the budget known as the "Ryan Budget," but it is has been passed by Congress and is "our budget." He might have thought he was shooting Ryan, but he was shooting me. Newt is not running for president. He is running for favor with MSNBC and CNN. Michael Prell of Tea Party Patriots will be in Seattle Thursday May 19. Tea Party Patriots is the real tea party nonorganization. Being the national organization of tea parties it might appear to be central leadership but it's not. This national organization aids local tea parties to get training, to network, to be effective, but refuses to lead. “Underdogma,” says Tea Party Patriots strategist Michael Prell, is the belief that those who have less power are good simply because they have less power. In Prell’s view, it’s a corrosive reflex that threatens our fundamental values and undermines American influence around the world. His latest book, Underdogma, argues that our nation can be reunified by re-embracing American exceptionalism. The ship we traveled to Antarctica on is being heavily advertised right now. I see their ads on several of my daily web sites. This is the Corinthian II operated by a very small cruise line Travel Dynamics. It is spending the summer in the Mediterranean Sea and its neighbors - Adriatic Sea, Ionian Sea, Aegean Sea and Black Sea - visiting interesting historical and cultural sites. The ship is small and the service is 5-star. They do an excellent job, but their cruises are expensive. Travel Dynamics, the line, is small. Just one small ship and one yacht-sized boat. Corinthian II carries only 116 and their yacht only 34. Bad luck: their third ship, Clelia II, which we were scheduled to go to Antarctica on, got in trouble in Antarctic seas again this past winter. A wave smashed windows on the bridge and knocked out communications. The poor passengers endured a passage that took about twice as long as usual (over 3 days versus less than two) in the very rough seas with broken windows! TD took it out of service - not surprising. Basic dishonesty in Washington government. State Lt Governor Brad Owens had to rule whether the fee/tax on nursing home beds was a tax or a fee. How convenient! He ruled it is a fee, not a tax. But he ruled wrongly and knows it. During the 2004 race for governor Dino Rossi claimed he proposed a bed fee. Christine Gregoire pushed back - that it was a tax. It was a tax in 2004 and it is in 2011. Lt. Governor Owens violated the law. Initiative 960 requires that all tax increases be approved by a 2/3 vote or a vote of the people. By ruling it is a fee he violated I-960. ... For political reasons, Dino Rossi found himself writing the budget back in 2003, and he was a big supporter of the nursing home bed tax. But of course he called it a fee when he ran for governor the next year and said he balanced the budget without raising taxes. Gregoire called him on it, highlighted it in her ads and in debates. The Seattle Times even ran a ‘fact check’ piece, Ericksen said, in which it said the nursing home assessment was definitely a tax. “[The] then-attorney general, now governor of the state of Washington, Chris Gregoire said no, that’s a tax – you’re not being honest, Mr. Rossi, you raised taxes. I could read page after page from the Seattle Times, 2003 and 2004, about the debate between Sen. Rossi and now-Gov. Gregoire about how was this a tax. Ericksen said he voted for the nursing home assessment in 2003 but changed his mind this time because he thought money would be diverted again. Meanwhile, it appeared the ruling of the Seattle Times was not binding on the Legislature. South Africa has fallen far. FRUSTRATED IT workers have shown that a pigeon can transfer data faster than a major internet service provider (ISP). Workers at a South African information technology company this week proved it was faster for them to transmit data with a carrier pigeon than to send it using Telkom, the country's leading ISP. Africa's largest economy has poor internet speed and connectivity – and high costs - because of a bandwidth shortage. Local news agency SAPA reported the 11-month-old pigeon, Winston, took one hour and eight minutes to fly the 80 km from Unlimited IT's offices near Pietermaritzburg to the coastal city of Durban with a data card was strapped to its leg. The transfer took two hours, six minutes and 57 seconds – including downloading from the pigeon's card. During that time, only four per cent of the data was transferred using a Telkom line. Our planned trip to the Oregon coast got shortened due to roof replacement. So it became Astoria, Oregon and Case Inlet, Washington. Astoria is very interesting - huge ships going past close to shore; the bar pilot's shuttle boat going alongside while the ship steams on. Big vistas and an outstanding viewpoint at 600 elevation. Gulls and greater scaups plentiful this week and some terns. We made a very rainy visit to Ft Stevens St Park at the South mouth of The Columbia. Didn't see much. The beach is our own on Case Inlet. Two days with enough sun to be able to mow! The joys of ownership!! 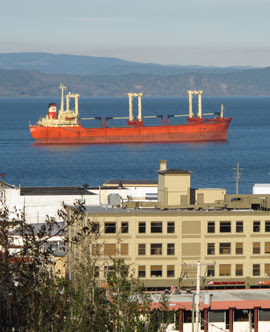 The photo: Ship passing downtown Astoria. Cohen wants compromise on slavery! Cohen at Washington Post attacks Republicans for not compromising - in 1852 on slavery. Slavery! They refused to compromise. So he wants slavery? Washington Legislature thinking: Hobble the program that led to added tax revenues of $321 million - $264 M for the state and $57 M for local jurisdictions. The Legislature and Governor are happy beyond belief that an extra cash infusion came in - just in time to ease the budget deficit they caused. But they want to kill the program that generated the idea that caused the windfall: State Auditor's ability to conduct performance audits. Performance audits look beyond if the dollars are spent for their intended purpose - the scope of regular audits - to ask "is the State getting value out of this program?" Which leads to the question are the results a good value for the money spent on the program. The powers like getting big smiles for passing out your tax dollars for good programs, but they don't like the results being measured and questions being asked. Just as lawmakers are cheering an unexpected $321 million that will bail out the state budget, they’re thinking about whacking the program that made it all possible. It is the inside story of the “May Miracle” announced by Gov. Christine Gregoire on Tuesday. The money came from a tax-amnesty program run by the state Department of Revenue – a wildly successful effort that generated more money than anyone dreamed. ... That the performance audit program is responsible there is no doubt. Sonntag’s office outlined the idea in a “performance review” of state government in December 2009. It noted that 46 other states had run tax-amnesty programs since the early 1980s, forgiving penalties and interest if people would just pay up. In the previous two years, 16 states had raised a total $1.4 billion. But Washington had never done it. But the Senate budget proposal transfers money from the account and gives it to other agencies – $3.2 million to the Department of Revenue for additional auditors, $5.3 million to the Department of Social and Health Services for welfare-fraud investigations. It may not sound like it makes a difference, but it is one of those subtle distinctions that mean plenty in Olympia. After an account has been raided once, it sets a precedent, and it can happen again and again, until finally there isn’t much left. Oh... The Legislature never let the ability to do performance audits pass their gate and live. It was Initiative 900, passed by voters in 2005, that enabled them. Those voters again. And Tim Eyman! "He goes on to say that maybe it’s time to give up “magical thinking”. Use your tax dollars for lobbying for more spending? When the State budget is in the red - or even when not - should my hard-earned dollars that go for taxes be used to lobby the Legislature for more spending? To provide funding for more lobbying for more spending? A bill was introduced Wednesday to limit this practice. Situation via Freedom Foundation: Taxpayer-funded lobbying is on the rise. Even as government budgets are strained and an income tax is considered, government entities continue to spend millions of taxpayer dollars to pay for lobbyists. Data compiled by contract lobbyists and public agency lobbying report forms filed with the Public Disclosure Commission (PDC) reveal $6 million worth of taxpayer-funded lobbying expenditures in 2009 alone, and over $42 million from 2000 to 2009. 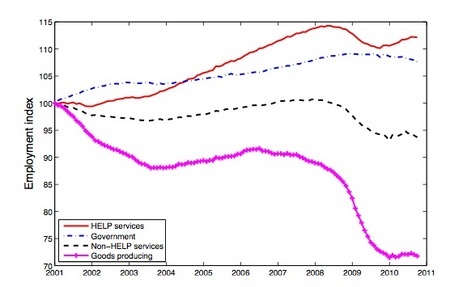 In addition, spending on taxpayer-funded lobbying is on the rise. Lobbying expenditures reported to the PDC have more than doubled since 2000. Most of these expenditures were spent on lobbyists and lobbying firms. While taxpayers were footing the bill, a few lobbyists were receiving huge checks. However, these figures do not reveal all funds spent on taxpayer-funded lobbying. The Freedom Foundation uncovered over $4.6 million in lobbyist expenditures that were not reported by various public agencies. Sound Transit alone, until questioned by the Evergreen Freedom Foundation, had not reported over $800,000 spent on lobbying since 2003 — and the reports Sound Transit filed late were filed improperly. Proposal: Representative Matt Shea (R-Spokane Valley introduced the Taxpayer Funded Lobbying Reform Act Tuesday that would restrict the now ubiquitous (not to mention costly) practice of state agencies hiring contract lobbyists to persuade the Legislature to give them more money. Rep. Shea’s bill would require all lobbying to be done in-house by particular representatives—the state agency’s elected official, appointed officials, director or deputy directors. Additionally, the bill would restrict agencies from paying membership dues to any organization—whether public or private—that engages in lobbying activities. HB 2112 also creates personal liability when agency directors or staff violate state agency lobbying restrictions. In southern Africa they are tired of their people dying of malaria while the UN prevents using known effective prevention methods. So they are going to manufacture DDT themselves. 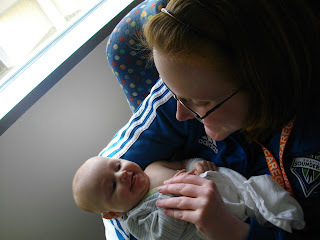 Baby Ryan gets to go home Thursday. Mother Abby will be able to give him his medicine at home. Seems obvious, but they were talking about her taking him to a hospital ten miles away in Tacoma for several hours every day. Our niece's son has had a rough first three months. 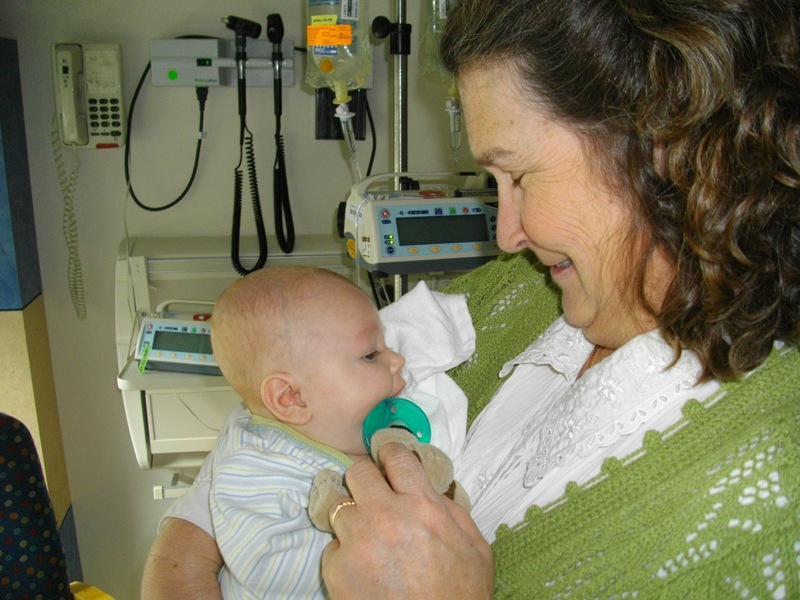 He was born despite his mother's significant health challenges. Soon after birth a clot blocked blood circulation to his liver, so it died. He stayed in the hospital and got little time at home. He got the liver transplant he needed at Seattle Children's Hospital. The one he received was so large that his abdomen could not be closed up for I don't know how long. I haven't collected all the details. But he has been in the hospital more than out in his first three months of life. Gini and I - more her than I - have helped mother Abby by watching him while she gets lunch. And today Gini took the early shift; it's best to have someone there by 8 AM to be with him. He is a pretty nice little guy. God bless you, Ryan. You will be walking before this time next year. Photos: Mother Abby with him and Gini with him. Click to enlarge. Seattle had our coldest April in 120 years. Our average daytime high was 6 degrees colder than average - 52.2 versus 58.2. May started warm on Sunday, but rain and cold returned today, Monday. ... D'Amico said the reason for the crummy spring is La Niña, the semiregular weather pattern created by unusually cold ocean temperatures near the equator in the Pacific Ocean. Good job. Don't send a cruise missile. Go face-to-face with the coward who has been telling his followers for decades that to die is the highest act - except for him. And he was buried quickly for Islamic law and at sea, so there is no place for a shrine, except where he was killed. "Where were you when they captured OBL?" Does her publisher correct errors? Not in three days.